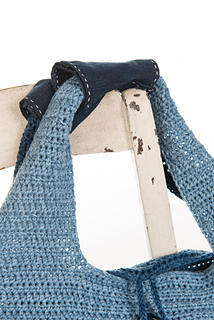 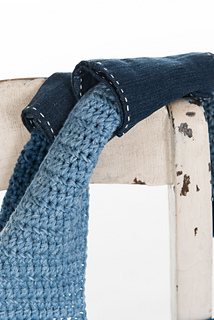 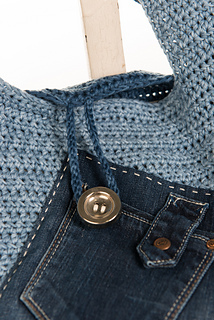 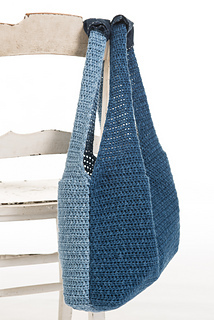 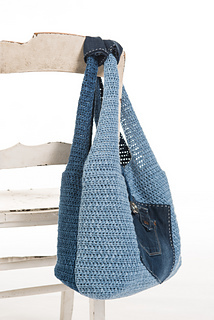 Using Catania denim yarn, double stranded, making both bag pieces in a different colour. 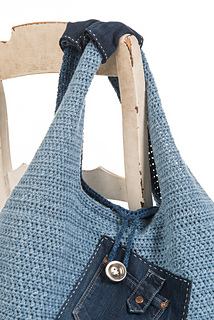 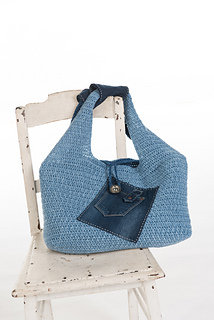 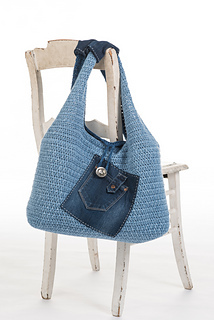 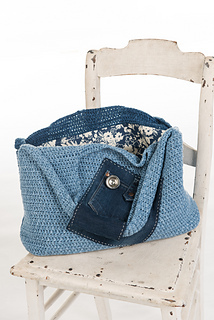 Solid stitchwork, lovely refined details, and the use of recycled pieces from your favourite used pair of jeans, make this bag a true eyecatching and useful trendy accessory. 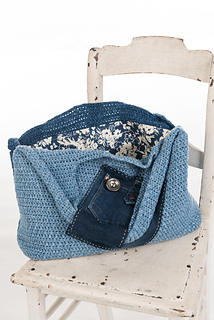 Fully written pattern, in English and in Dutch, a schematic and lots of pictures added. 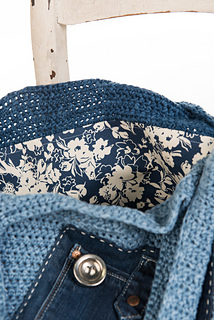 Lining is optional. 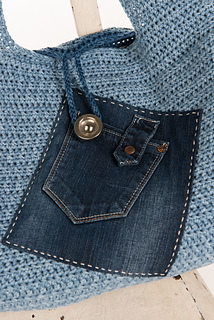 (no instructions added for the lining, although the schematic can be used as a good reference to make the lining). 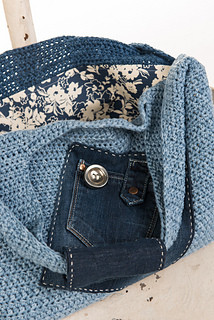 The finished bag measures about 55cm/21,75in width and height.